Potatoes, Vegetable Oil (Soybean or Canola), Salt, Dextrose, Citric Acid. Preheat oven to 400°F. Arrange frozen patties in a single layer on an ungreased baking pan. Bake for 20-25 minutes, or until golden brown. Turn after 10 minutes for even browning. Season to taste and serve. Heat 2-4 tablespoons of oil in a large skillet over medium-high heat. Fry a single layer of frozen potatoes for 8-9 minutes or until golden brown. Turn as needed for even heating. Drain on a paper towel. Season to taste and serve. These hashbrowns have a tendency to come out of the oven glistening with grease, so we recommend patting them dry with a towel after cooking. Additionally, we had success cooking them on a stainless steel cooling rack nestled inside a baking sheet. The result: some of the grease dripped away while cooking, and the browns came out extra crispy. We did not try the Stove Top cooking method, as we didn’t want to introduce more oil into the equation, and felt the oven method was more convenient. Sunday brunch is the perfect opportunity to pull out all the stops, and fill your belly with the soul satisfying (though questionably nutritious) breakfast array of hashbrowns, bacon, eggs, toast and more. We love a robust breakfast spread (spoiler alert: it’s the most important meal of the day! ), so when we saw these potato patties with the familiar shape at our local TJ’s, we couldn’t wait to give them a try. The verdict? 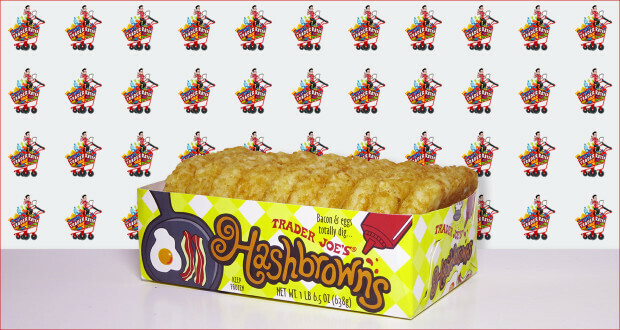 We’re happy to report that these frozen Hashbrowns from Trader Joe’s were a crowd pleaser, and we had only a few minor dings. First off, they’re very easy to prepare, which makes cooking them up in the morning an easy task. On the flavor front, they are well-salted (but not overly so), and crispy – and the fresh potato flavor is front and center. One minor negative: even with extended cooking, we couldn’t get the inside of the hashbrowns to firm up, so the center was a bit gummy and soft. This was a minor note, and it didn’t detract from the overall enjoyment. All told, we thoroughly enjoyed these morning treats. They were delicious when served next to a perfectly fried egg, pressed into an egg sandwich, or rolled up inside a breakfast burrito. We’re definitely sold! 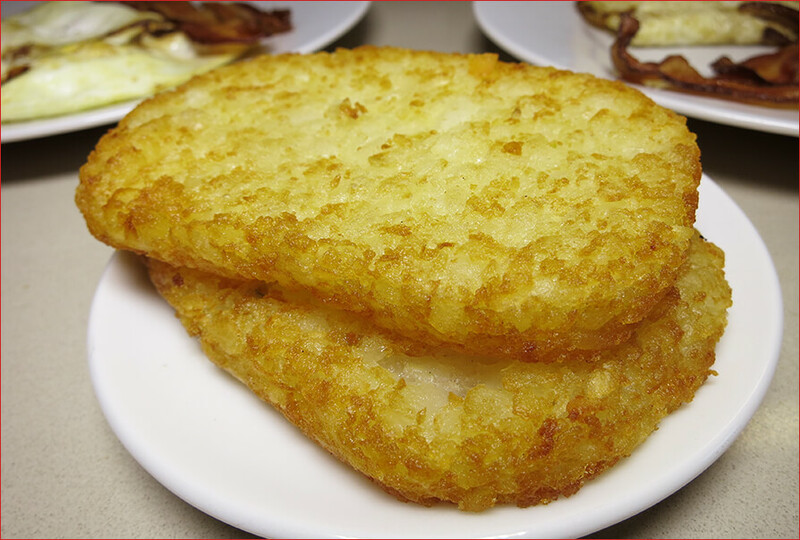 Summary : These hashbrowns were quick to prepare and were a great addition to our breakfast feast. Despite a few small drawbacks, we think they're a hit! Seriously tho, ease of preparation, taste, cost make these hash browns our favorites..
Bacon grease?! Amazing suggestion. We’ve got to try that – bet it’s delicious. Thanks for your comment! Can these be stored in the refrigerator? The box says to keep frozen. What would the harm be if stored in rerigerator?